Tonight and tomorrow mark the Hebrew date (19 Kislev) of my fathers passing. It is customary to light a memorial candle for our loved ones each year on the anniversary. The candle burns for 24 hours so it is lit for the entire day. 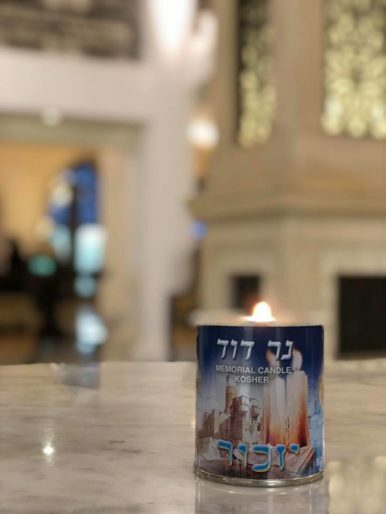 As many of you know, Humans of Judaism was started during the year of mourning for my father in an effort to do something meaningful in his memory. Losing a parent is one of lifes hardest experiences. This page is truly my heart and soul and has picked me up when I was down. I always say that I am a follower before I am an editor. The comfort and strength that I work so hard to provide for all of you has at times been my way of helping myself to see the better things. My father only saw the good in me, as parents often do with their children. Humand of Judiasm shares that sentiment for our community, seeing the good. May we all continue to share the good things in life. PREVIOUS POST Previous post: ✡️📝 Posted on the Wall.